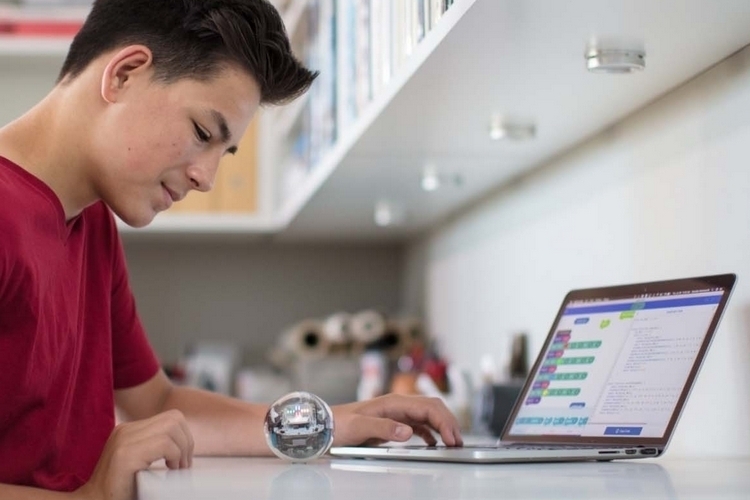 We’re big fans of Sphero’s programmable robot ball, which kids can program to perform all sorts of clever tricks, allowing them to create custom games that take place outside of a rectangular screen. 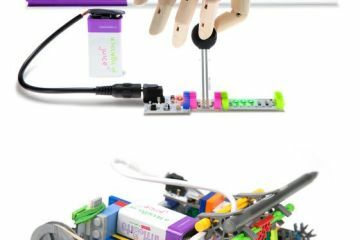 While the Sphero BOLT is designed for more of the same, it adds even more programmable elements that enable more complex experiences that kids can put together. 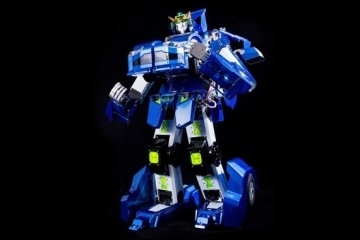 Equipped with more sensors than the outfit’s previous robot balls, the toy now harvests even more input data, giving you access to a lot more variables for triggering the robot’s actions. 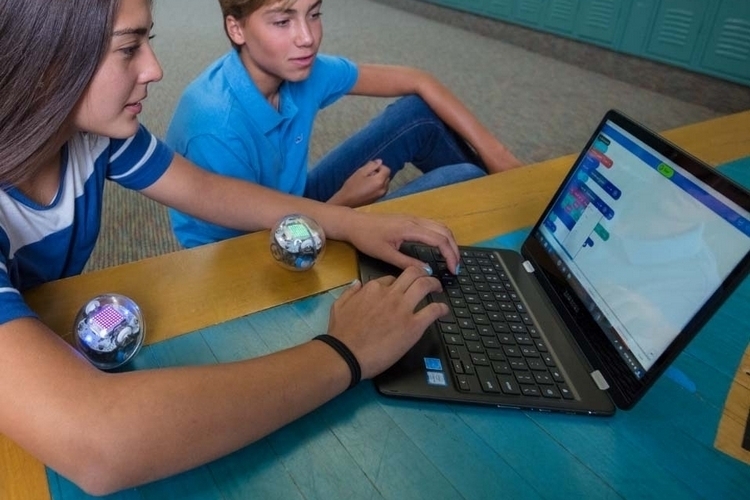 So much so, in fact, that multiple balls can now interact with each other, allowing kids to program them to move in both cooperative and competitive ways. Suffice to say, this immensely expands the kind of games and experiences kids can put together with the robots. 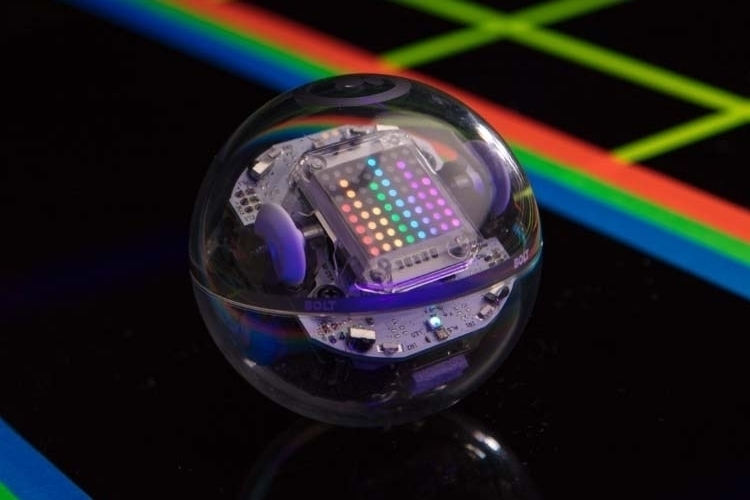 Unlike their original robot ball, the Sphero BOLT comes with a transparent enclosure, allowing you to see a multi-color eight-by-eight LED matrix inside, which the robot can use to display notifications and other types of information. 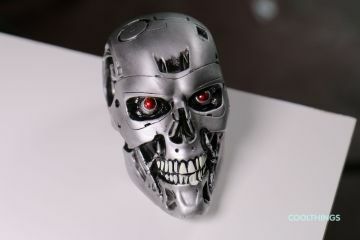 Program it to display an animated face, a moving light pattern, or any other type of visual information that change in real-time to coincide with the robot’s states or actions. Sure, an eight-by-eight grid doesn’t give you much room to get creative, but it does open up a new avenue for interacting with the robot. An onboard motor allows the robot to roll around on its own, with an integrated compass that allows you to give it precise commands with regards to direction. 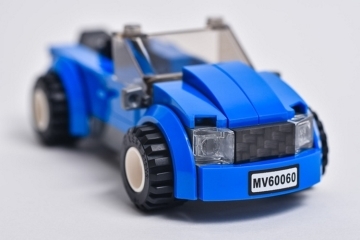 While moving, it can pick up real-time readings on speed, acceleration, and direction, all of which you can use in your code to determine the robot’s actions. Four infrared sensors allow multiple robots to interact, so you can have them racing while trying to block each other’s paths, moving in unison to move a big object out of the way, or even battling each other in your own custom battleground. There’s even an ambient light sensor for triggering actions based on the amount of light in the room. It comes with wireless charging, so you can just it down on the dock to replenish the battery, a fresh charge of which allows you to play for up to two hours. 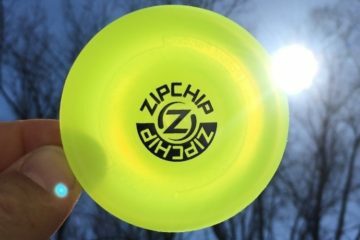 Other features include a diameter of 2.8 inches, a scratch-resistant shell that can handle rough play, and cross-platform compatibility (it has apps on iOS, Android, Windows, Mac, Chrome, and even Kindle). 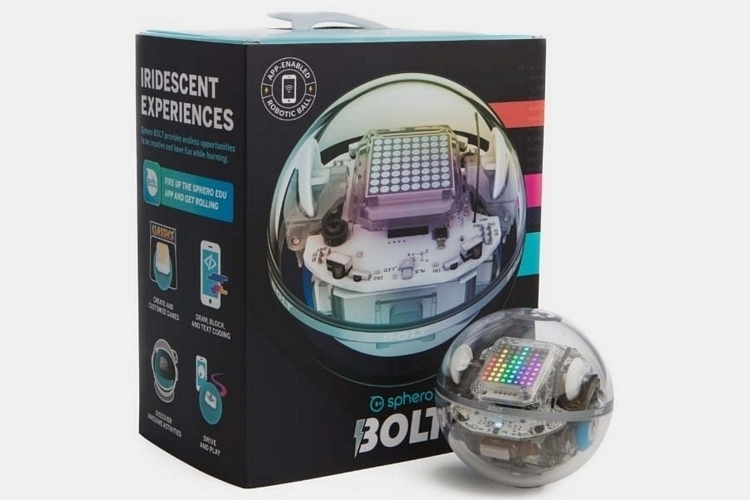 The Sphero Bolt is available now, priced at $149.99. 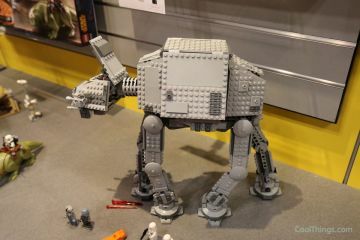 SPOILER ALERT – Loot Crate June 2015 Exclusive Pics!